We recently took B on a tour of our local landfill. I had been there before as part of a school project but that was a long time ago and a lot has changed in the regions waste management division. The tour was an opportunity for us to see their processes and for B to see his beloved 'garbie rucks'. The facilities are set up to handle multiple streams of waste the problem is that they are not all being fully utilized by our community. Every Wednesday I drive past all the houses with their bags of trash out at the curb and maybe just maybe their blue box. Rarely do I see a green bin. Our landfill currently has a lifespan of 25 years but if more people used their blue boxes and green bins that could be extended to 50 years. Right now 2/3 of everything that ends up in the landfill could have been diverted to the blue box or green bin program. That is shocking and sad. I get that the green bin program can be gross. It even grosses me out sometimes. 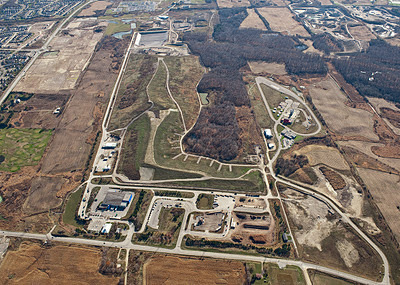 But think about the alternative...it could be that a new landfill is built in your backyard. Now which is grosser? I think this is something I will never understand. People do not want something like a landfill in their backyard yet they chose every single day to not do what it takes to extend the life of the current landfill. * New technologies for covering trash at the end of each day is helping to expand the lifespan of landfills. Previously they had to use 3 inches of cover each day...think of how much space is being used up each day with just cover material! * When a landfill is full they place clay on the top and sides to encase the trash. This 'garbage mountain' never gets smaller....the bio degradation process is so slow that these landfills will never go away. 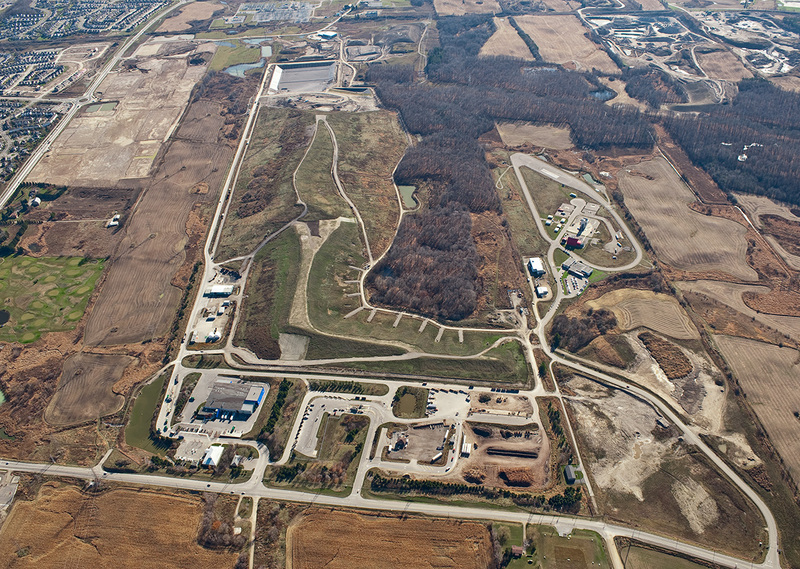 * Beside our landfill is protected space and the latest studies show that the landfills operations have had zero effect on this space. * There is a Habitat for Humanity trailer right at the landfill where they can collect building materials for reuse. * Conduct a mini waste audit in your own home. Know what you are producing and how to reduce it. * Recycle. Set up your kitchen and outdoor space to make it easy for the whole family to be involved. * Compost either through your city program or in your own backyard or heck do both if you can. * Take part in your local yard waste program. * Donate old clothes, furniture and toys. Don't throw these things out! * Buy used whenever you can. * Know your waste management policies. We can't recycle styrofoam at the curb but we can bring it into the recycling center at the landfill. Have you toured your local landfill? Do you do all that you can do to divert waste from your landfill? Have you ever done an audit of what you produce? I am thinking we need to do ours as the last one we did was over 2 years ago. This is great that you got a chance to check out your landfill. We are really lucky in our county because most people use the sh** out of the green waste program, as well as recycling. They also have a transfer station, where you can drop off pretty much ANYTHING you want (clothes, books, electronics, furniture) and they will try and resell or reuse it. It's also a great place to go get old window sills or things to make shabby chic art out of. I must give Northern CA props, they definitely have the system down. Those sound like some fantastic programs Ashley!